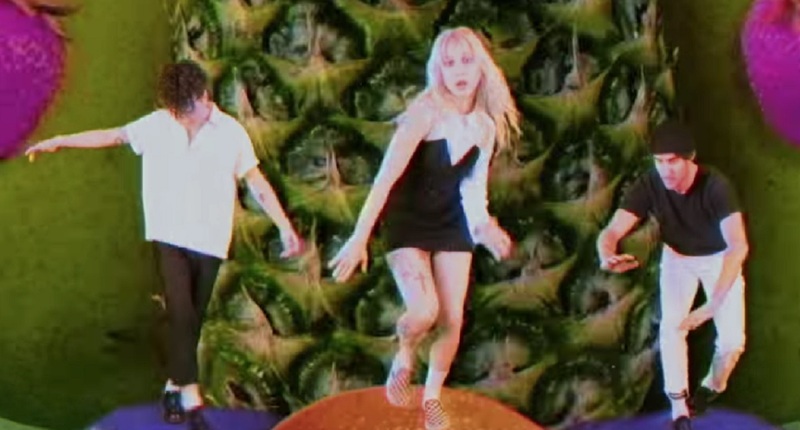 Watch Paramore's official music video for "Caught in the Middle". Paramore Caught in the Middle was released on the album “After Laughter” and is available in on-line music stores. The song is the fifth single off Paramore’s fifth studio album. “Caught in the Middle” is somewhat of a Pop/Rock hybrid song and crosses both music genres. The music video features the band dancing on oranges, and trying to evade a variety of other fruits and is a throwback video paying homage to the 80s style of music videos on MTV. Watch the official music video and check out the lyrics below. Watch the “After Laughter” album stream on YouTube. Paramore’s music video for ‘Caught In The Middle’ from the album, After Laughter is available now by clicking here. Follow Paramore below and remember to share this with other Pop Music fans.